Cool helicopter vector for your adventure, military operations and freedom designs. 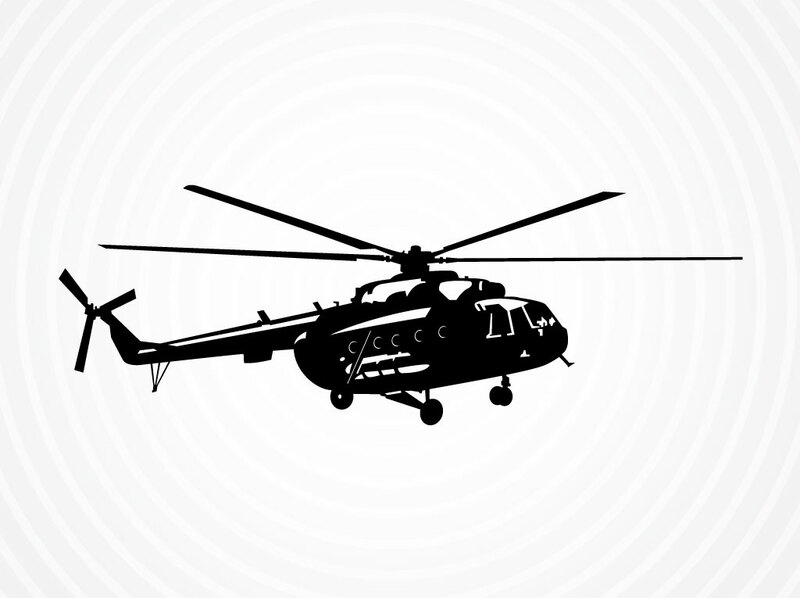 Download this free vector helicopter with radiating light gray circle background image. Black and white threshold style graphics on the military class chopper that will look great against a sunset backdrop. Highly useful artwork for gaming clan websites and flight inspired designs. Tags: Air, Army, Chopper, Flight, Freedom, Gaming, Helicopter Vector, Military.